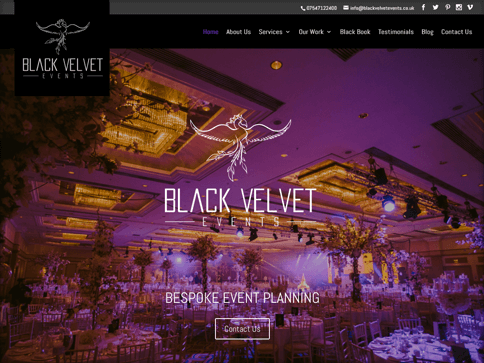 The team at Black Velvet Events approached us initially to produce some marketing literature, for shows and events that they were attending to showcase their new business & brand. Initially we started with just a holding page to give some sort of online presence, however, this soon transformed into a beautiful 10 page brochure site. 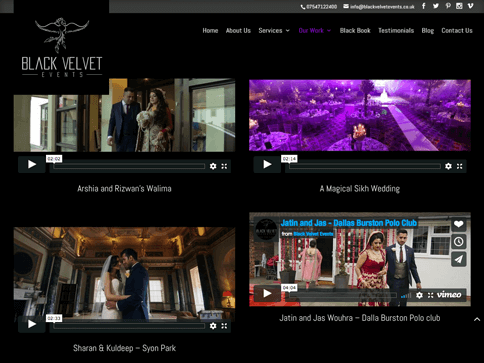 The main brief was to use our design and creativity to really showcase an ‘elite’ and ‘luxurious’ brand for Weddings & Events on a mobile friendly platform which can be content managed going forward. 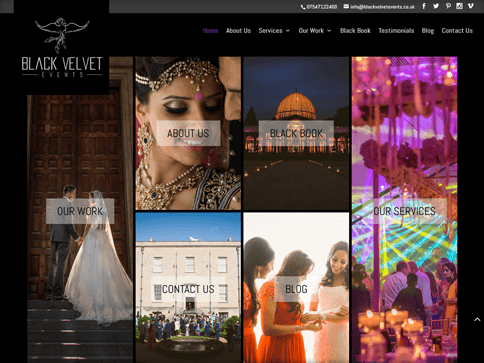 With the use of our client’s own high quality photography, we were able to really bring the site to life and attract and engage with the end user well.